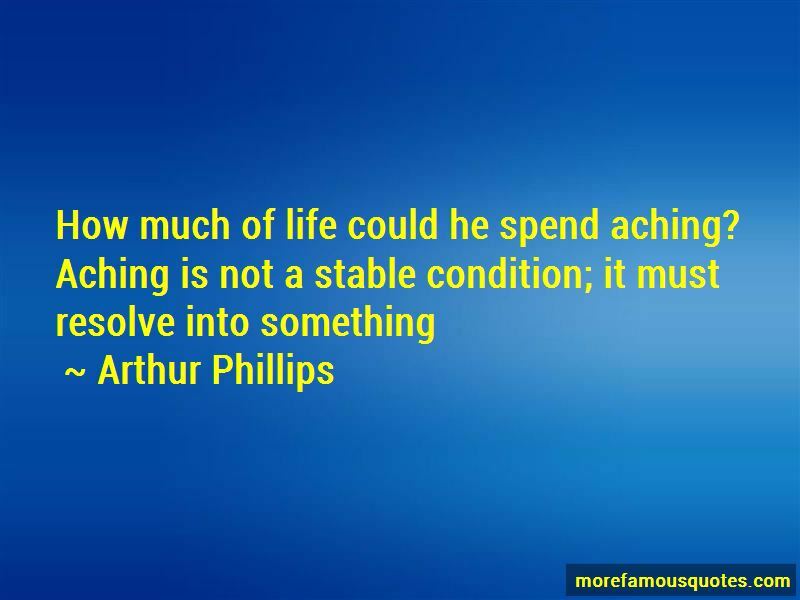 Enjoy the top 37 famous quotes, sayings and quotations by Arthur Phillips. The truth is, anyone who puts so much of herself and her life into art as you do must naturally fear any failure in that art as a potential threat to your life. And so you protect your art more than you protect your health or the common forms of happiness the rest of us have. And you probably have this in common with every artist you admire. “So why did poor artists originally hang around in cafes?" "I don't know. Inspiration from the atmosphere." But no, music lasted longer than anything it inspired. 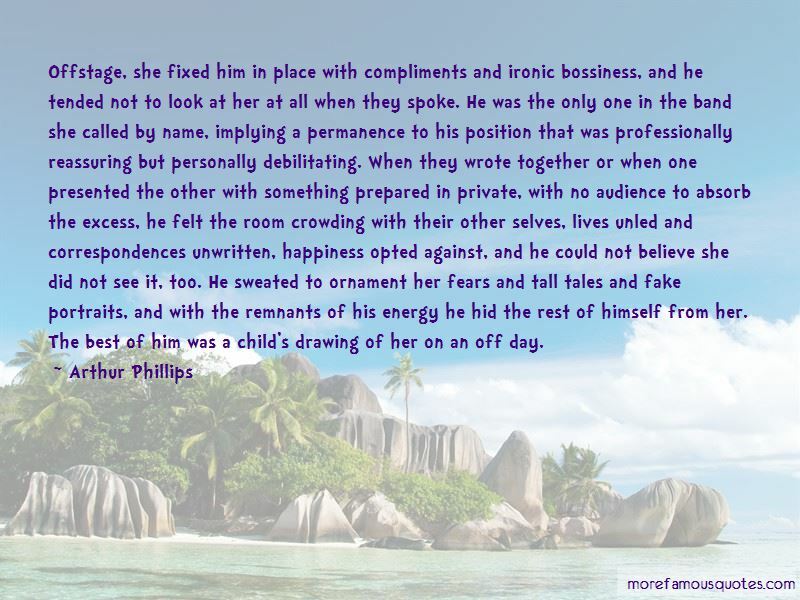 After LPs, cassettes, and CDs, when matrimony was about to decay into its component elements-alimony and acrimony-the songs startled him and regained all their previous, pre-Rachel meanings, as if they had not only conjured her but then dismissed her, as if she had been entirely their illusion. He listened to the old songs again, years later on that same dark promenade, when every CD he had ever owned sat nestled in that greatest of all human inventions, the iPod, dialed up and yielding to his fingertip's tap. The songs now offered him, in exchange for all he had lost, the sensation that there was something still to long for, still, something still approaching, and all that had gone before was merely prologue to an unimaginably profound love yet to seize him. If there was any difference now, it was only that his hunger for music had become more urgent, less a daily pleasure than a daily craving. It would be hard to exaggerate Ernest Hemingway's influence over American literature, but his influence on our lives is probably larger still. Write. Enjoy writing. Then, and only then, worry about the business end of it. Start loving your hobby, and then you can't go too wrong. Fiction is able to do one thing better than any other art form: it is able to convey a convincing sense of what is going on in someone else's head. To me, that is the great mystery of life: what is everyone else thinking? There are few things more pleasing than the contemplation of order and useful arrangement. 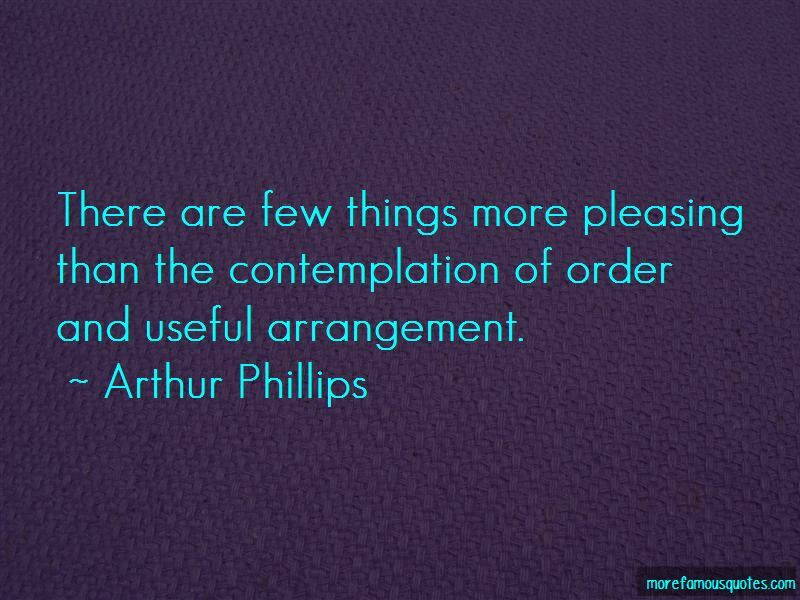 Want to see more pictures of Arthur Phillips quotes? 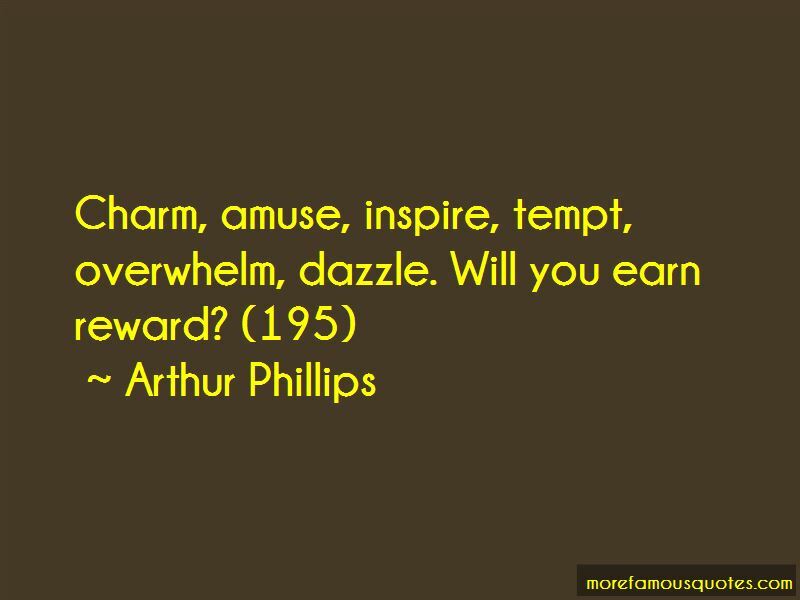 Click on image of Arthur Phillips quotes to view full size.